The Zimbabwe Library Association (ZimLA) Matebeleland Branch is geared up to celebrate the International School Library Month (ISLM) this October with an event scheduled at the National University of Science and Technology (NUST) on October 15, 2016. 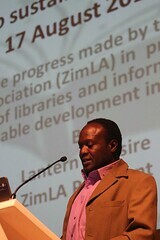 Mr. Jerry Mathema the current Zimbabwe Library Association Matebeleland Branch Chairperson was appointed the International Association of School Librarianship (IASL) Regional Director for Africa Sub-Sahara region effective 21 July 2015. 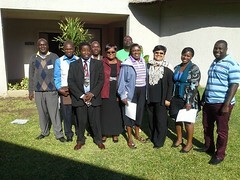 The region covers Botswana, Congo, Congo, Ethiopia, Kenya, Malawi, Namibia, Nigeria, South Africa, Zambia and Zimbabwe.